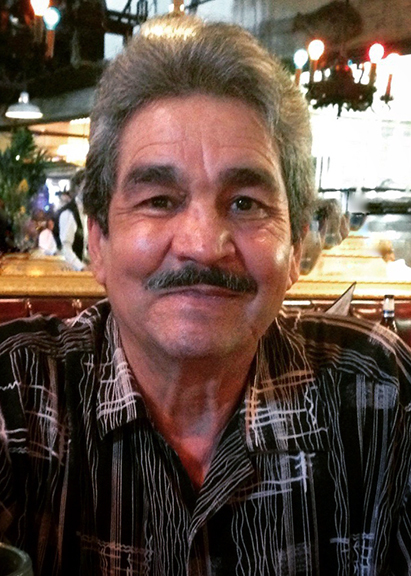 Trinidad Garcia, 70, of Beaumont, died Friday, March 29, 2019. He was born on August 12, 1948, to Guadalupe Martinez Garcia and Hilario Garcia, in Zacapu, Michoacán, Mexico. Survivors include his wife, Josefina Quintana Garcia, son, Jorge Garcia; daughters, Marcela Garcia, Mariana Garcia, Ana Garcia, and Elivier Garcia; grandchildren, Alan Garcia, Jocelyn Garcia, Aaron Garcia, Jorge Garcia, Jorge Ochoa, Frissia Garcia, Mariana Ochoa, Jose Eduardo Villanueva, and Miranda Villanueva. A Rosary for Mr. Garcia will be recited at 6:00 p.m., at Broussard’s, 2000 McFaddin Avenue, Beaumont. A funeral mass will be 10:00 a.m., Tuesday, April 2, 2019, at Cristo Rey Catholic Church, 767 Avenue A, Beaumont. Cremation arrangements were handled through Broussard’s Crematorium, Beaumont.